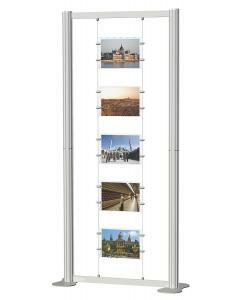 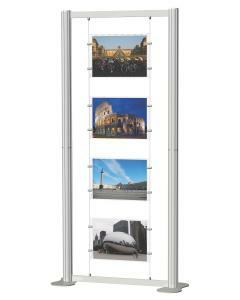 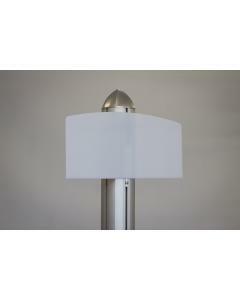 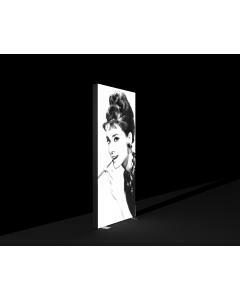 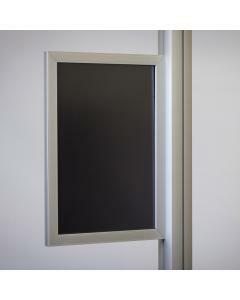 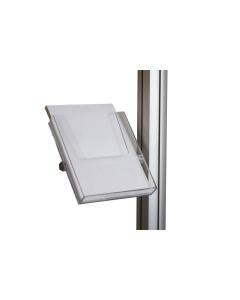 The wall mounted lightbox is made using a 75mm deep aluminium frame and stretch fabric graphic. 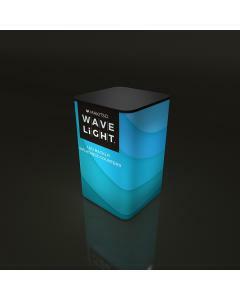 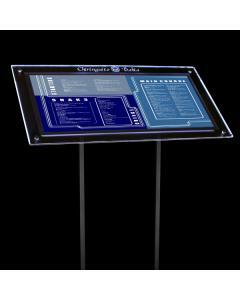 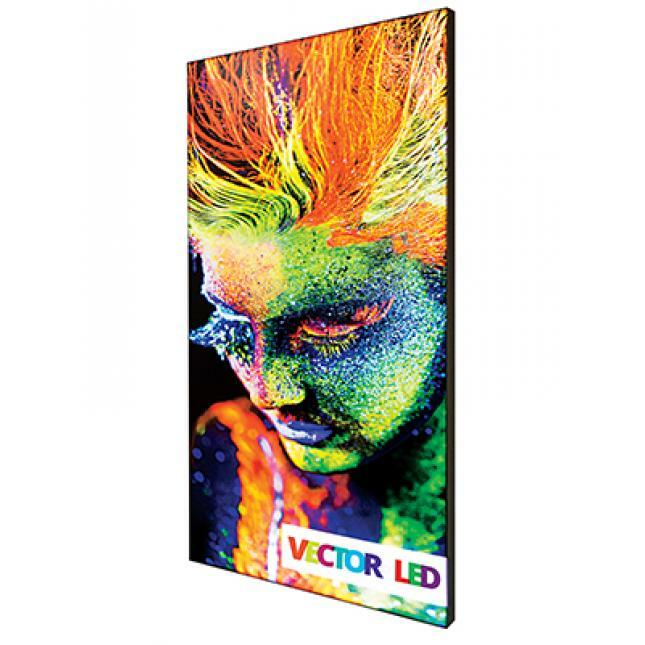 This high impact LED Lightbox will illuminate your custom printed graphic beautifully with its edge-lit LEDs. 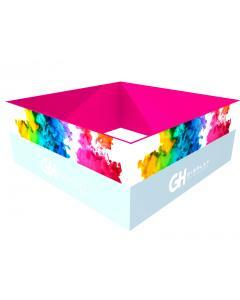 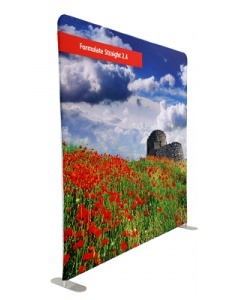 Available in three large format print sizes as standard, but can also be customised to your exact size requirements. 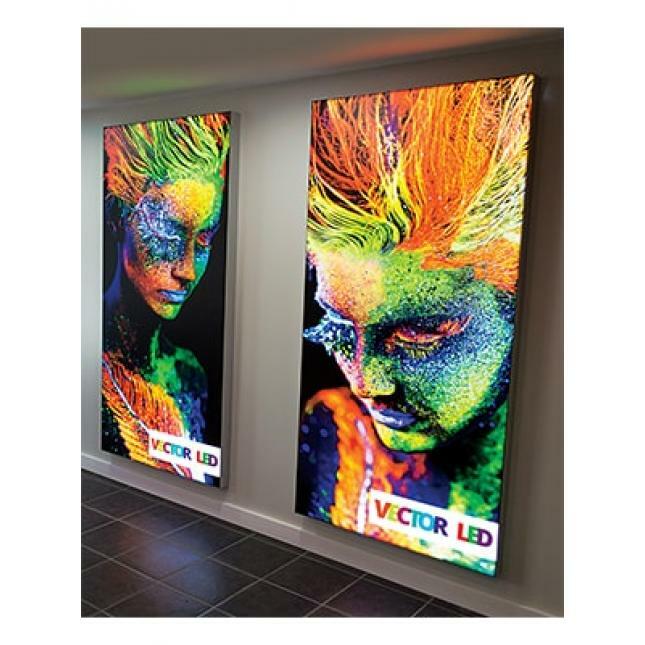 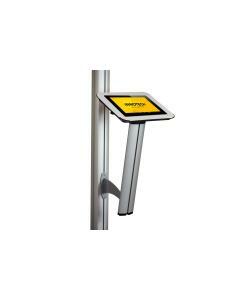 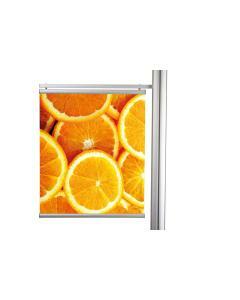 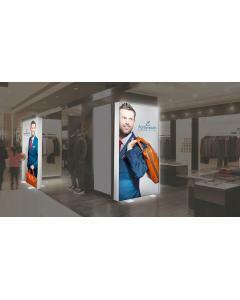 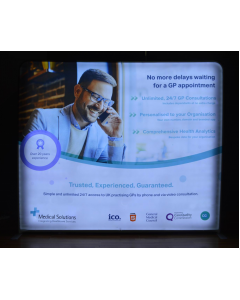 The wall mounted lightbox display is suitable for a whole range of uses, from office branding, retail point of sale displays through to public buildings. 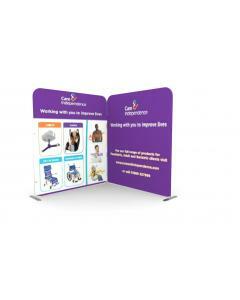 The framework is quick and easy to install and the high quality silicon edged fabric graphic is robust and hard wearing. 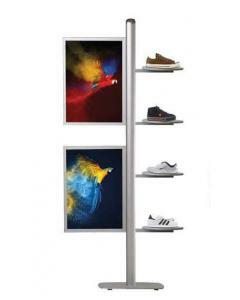 Each profile has a smooth exterior, finished in silver aluminium creating the perfect look for any retail or showroom environment. 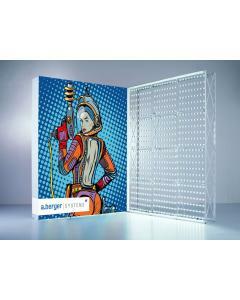 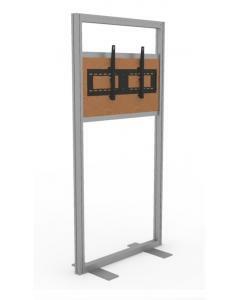 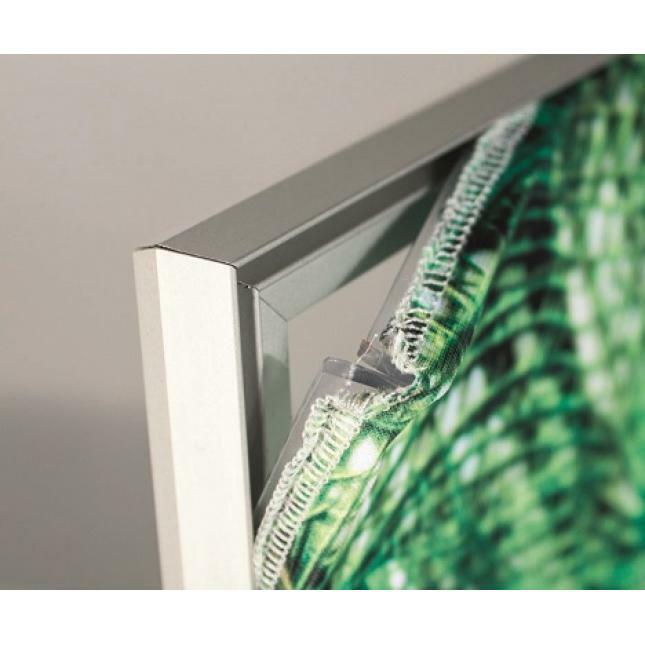 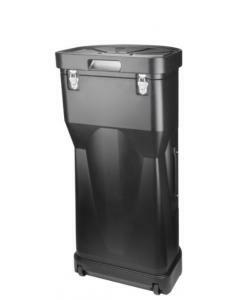 Frames are supplied flat packed and each unit is powered by edge-lit LED plug and play lights. 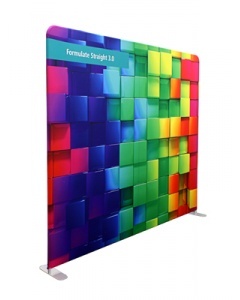 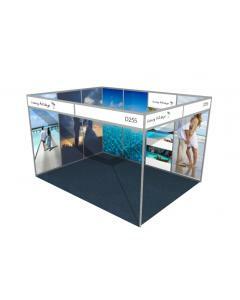 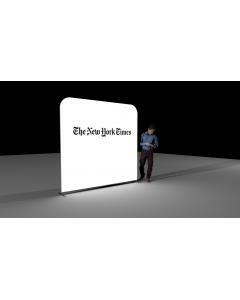 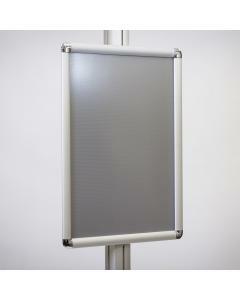 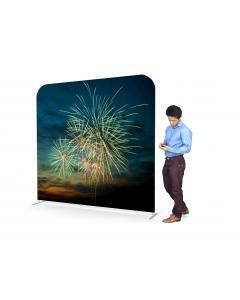 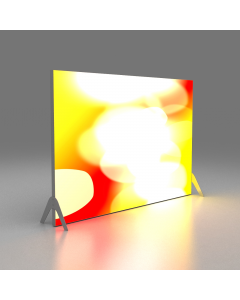 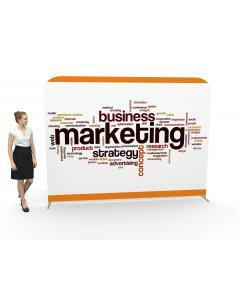 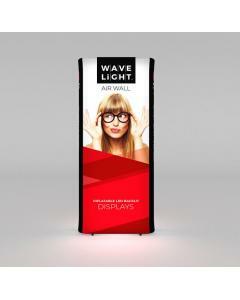 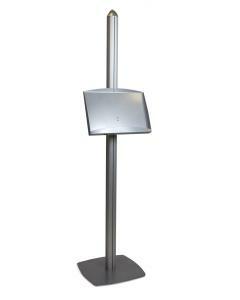 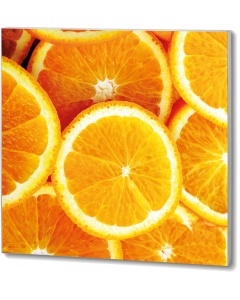 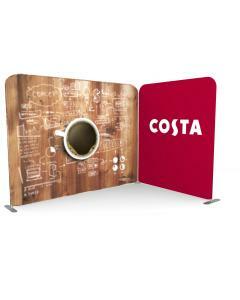 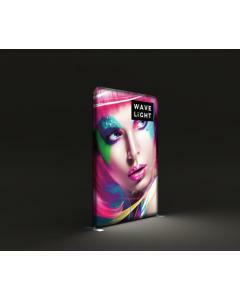 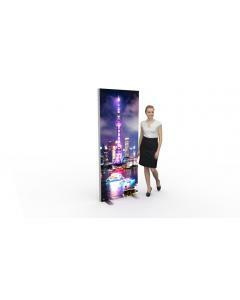 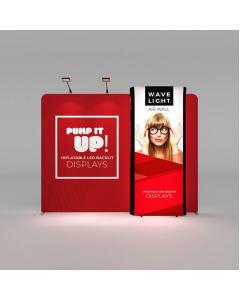 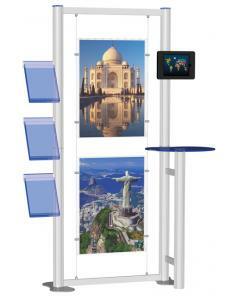 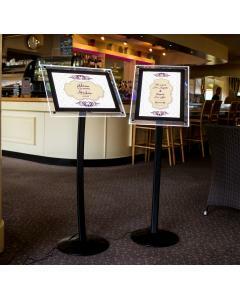 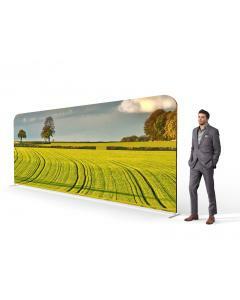 Your artwork is printed on backlit display stretch fabric. 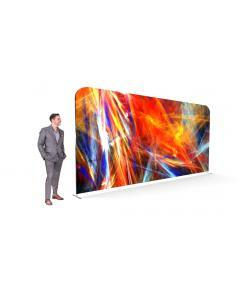 It couldn't be easier to change your fabric graphic. 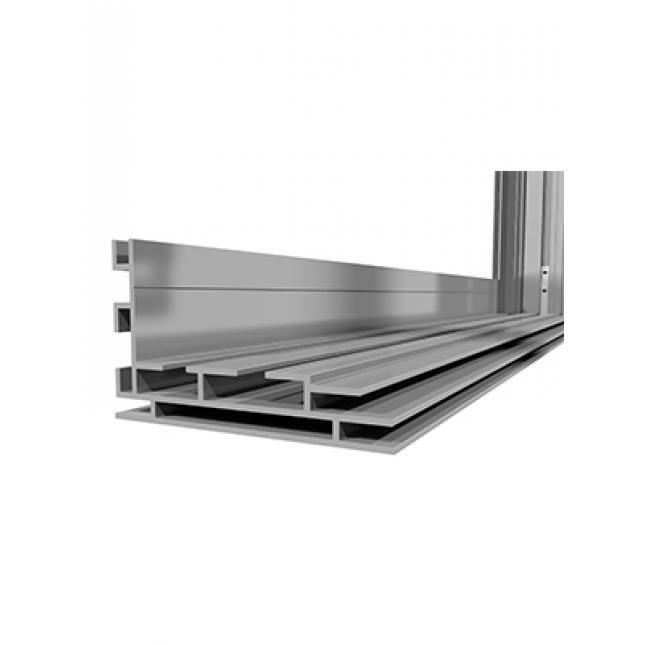 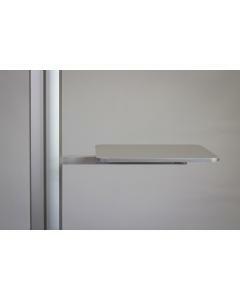 Simply push the edge into the specially formed channel around the framework, creating a flawless and seamless finish. 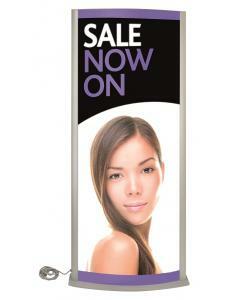 Replacement graphics can be purchased as when you need to change your message. 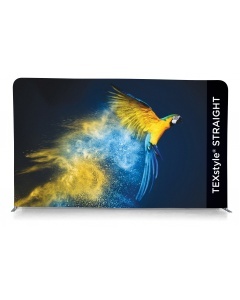 Graphic: Fabric graphics are custom printed on backlit stretch display polyester.